Rest the Potato Ricer on a pot or bowl and squeeze the soft handles together for perfectly mashed potatoes. 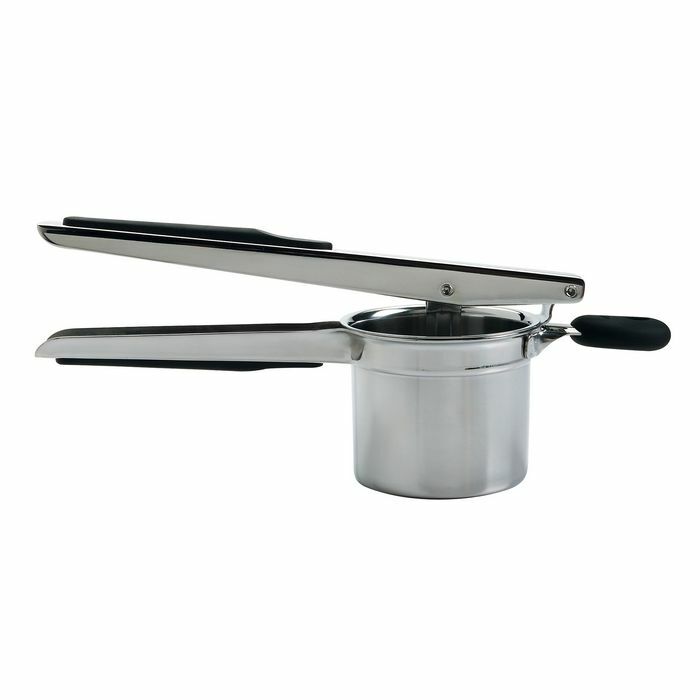 Strong stainless steel makes this Ricer sturdy, and a non-slip knob holds it in place on any pot or bowl. Make your own baby food by ricing fruits or vegetables.